ISR and producer GRR present the next installment to our ever growing Computer Core collection. 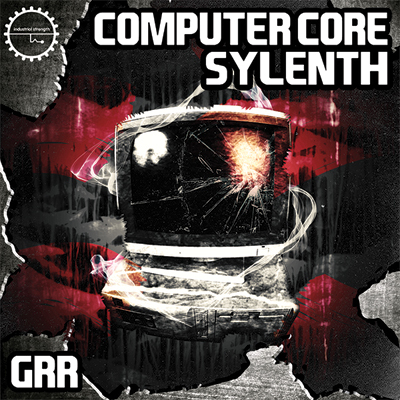 This new pack features a insane sound set for Sylenth1 and is ready to big up your next track or remix. There is no other collection of hard sounds like this for this popular soft synth on the market. Computer Core Sylenth brings a extreme sound right into your daw with a no holding back attitude and sonic texture like no other. The pack is loaded up with wild lead sounds that can cut thru any track, mixed with a selection super slick effects, and bad boy noise sounds great for Hard Techno, DnB, Industrial, Break Core. This mad selection of presets can find its way in just about any hard style of electronic music known to man. To make this pack a one stop production pack, we took it up a notch by including audio from across the Computer Core collection, this pack features over 100 audio samples taken from Computer Core 1, 2 and 3 as well as GRR's Drumcore pack. Not mention we took sum more audio bits from the demo track. Pretty cool hey. As a added bonus when you buy this pack on Loopmasters you get a coupon for 10% off on any of the Computer Core packs as well as Drumcore if you don't already own them. How sweet is that. This Italian Producer has made a name for himself by steering his drive into experimental styles and newfound sounds. Grr has collaborated with an impressive lineup of DJs and producers, from Hellfish to Christoph Fringeli, Baseck, Hecate, Crystal Distortion, 69 Db, Hekate Sound System, Zombieflesheater, Spitting Vitriol, Mad Kore, Autopsy Protocol, Ashtar Dxd, Anna Bolena and more. If your ready to knock down some walls and shake the room with a unique set of extreme sound's for Sylenth then there is no other pack you should have your sites on. Bring fourth the core.